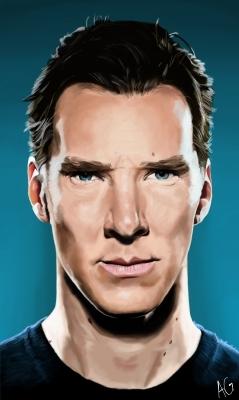 portrait of Benedict Cumberbatch as Khan from Star Trek: Into Darkness. I offer A2 size print of this work. A vacillating material for an artist, which got lost in dreams and doesn't seem to look for the way out. My arts are made with love to make you fall in love with them! For more information - contact me! I practise and do my best, soI hope you can find a progress within every new work of mine!